A compartment is provided at the overhead console to store sunglasses. To open the sunglass holder, press the cover and the holder will slowly open. 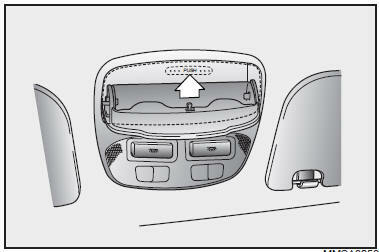 Place your sunglasses in the compartment door with the lenses facing out. Close the sunglass holder while driving.